App Peschiera je ukusno namješten dvosobni apartman smješten na drugom katu kuće u samom centru Poreča. U neposrednoj blizini apartmana nalaze se trgovina, caffe bar, pekara, pizzeria te brojni drugi sadržaji. Apartman od sadržaja na otvorenom raspolaže balkonom sa pogledom na more te jednim parkirnim mjestom na gradskom parkingu (uključeno u cijenu) koje je udaljeno cca 550 m od apartmana. Apartman je kapaciteta 4 osobe i sastoji se od dnevnog prostora sa opremljenom kuhinjom, stolom za objedovanje za 4 osobe, kožnom garniturom i SAT-TV, dvije dvokrevetne sobe sa dvostrukim krevetima i tuš-WC-a. The apartment is just wonderful and we had a perfect stay. 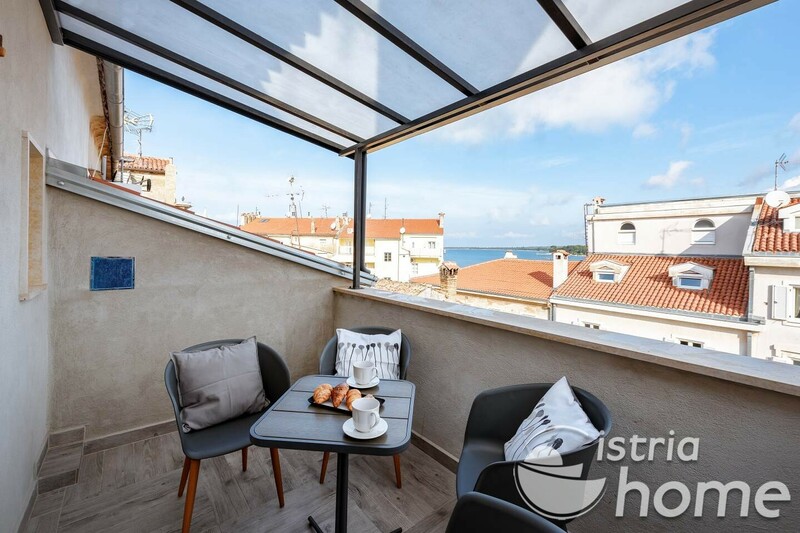 We can truly recommend this place and if you want to travel to Croatia, you should stay in Poreč. Its a beutiful old town and the apartment is excactly in the center. The beds are so comfortable and everything was just perfect and clean. We will definitely come back. Thank you so much. 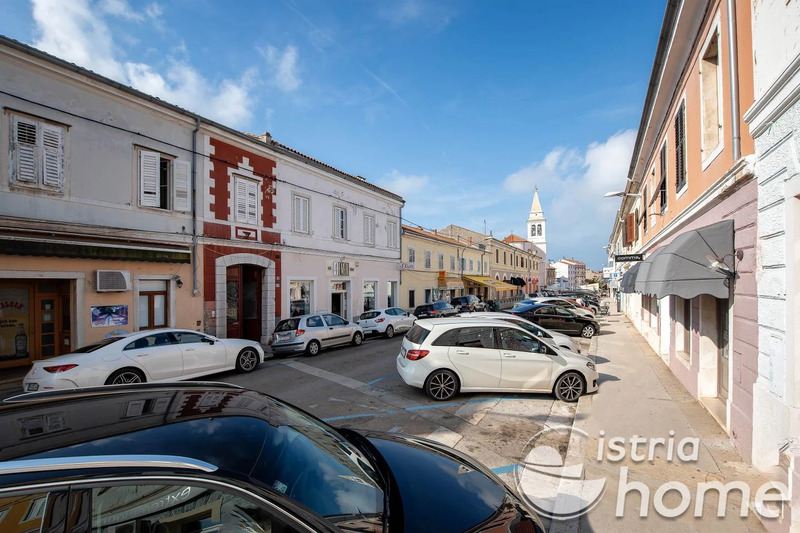 The apartment is located in the old town of Porec from which you can reach all restaurants and shops within a few minutes. 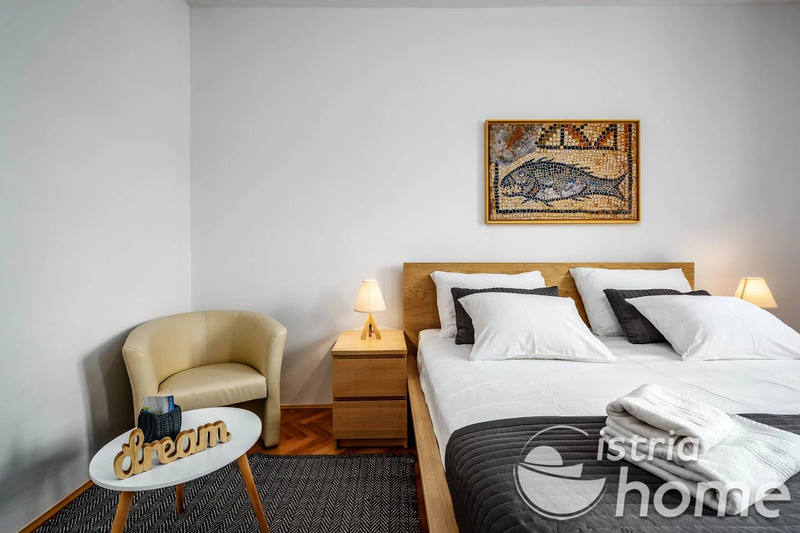 It is nicely and tastefully furnished and very well equipped in all respect. The balcony has a wonderful view on the sea. We received all information in a quick and kind manner. Eine sehr schöne Wohnung die alles hat was man braucht. Sehr sauber und nette Eigentümer die sich um alles kümmern!! Dazu gehöriger Parkplatz in ca. 5 Minuten Fußweg zu erreichen. Super zentrale Lage und viele Einkaufsmöglichkeiten in unmittelbarer Nähe. Immer wieder gerne. 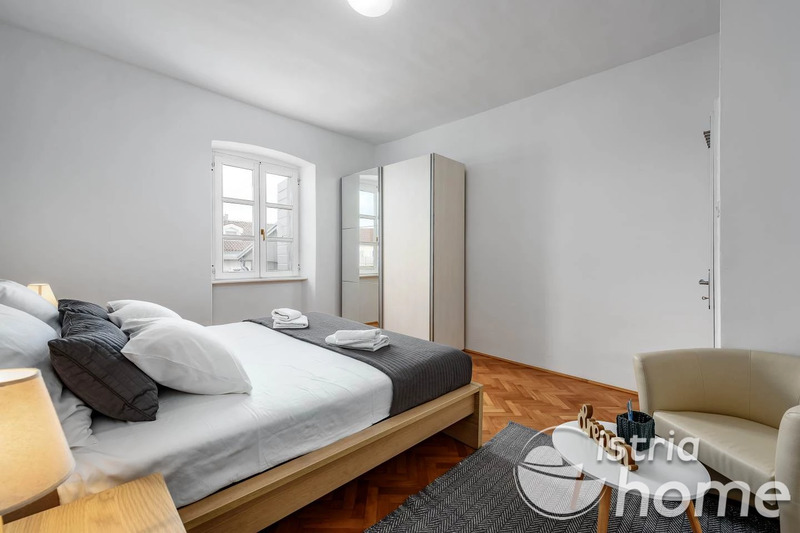 Lovely apartment, great location on the edge of the old town. Wir waren sehr zufrieden mit der Unterkunft. Sie liegt sehr zentral und man erreicht alles in wenigen Gehminuten. Das Apartment ist modern und stilsicher eingerichtet, mit allem, was man im Urlaubsalltag benötigt. Man fühlt sich sehr wohl dort. Sicherlich kommen wir in den nächsten Jahren wieder und können die Unterkunft jedem weiterempfehlen. Gut ist auch, dass ein Parkplatz in direkter Nähe inklusive dabei ist. 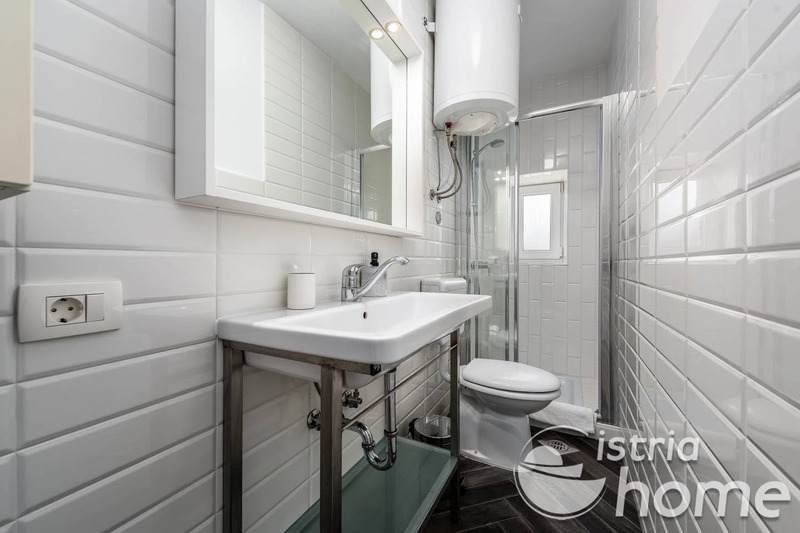 Sehr tolle modern eingerichtete Wohnung in zentraler Lage. Direkt gegenüber ein Supermarkt, Droderie um die Ecke und zahlreiche Restaurants und Cafés in der Nähe. Kurzer Spaziergang zum dazugehörigen Parkplatz. Sehr zu empfehlen. 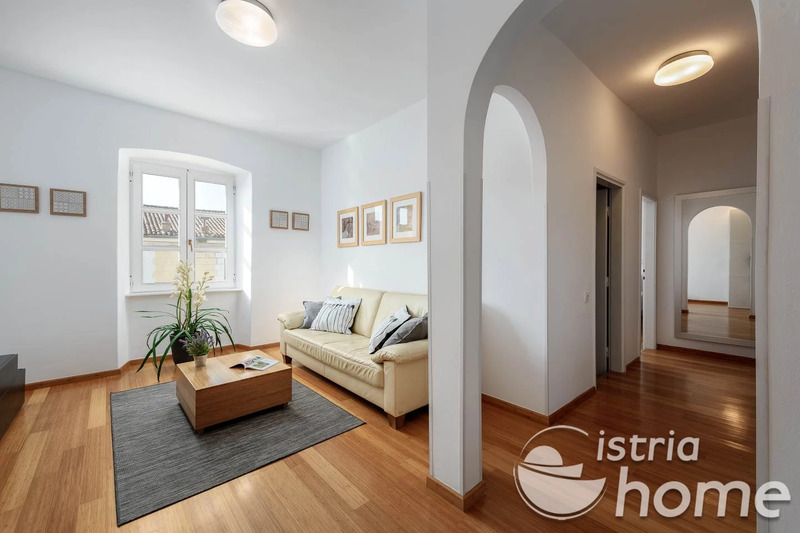 Wir behalten die Wohnung für einen nächsten Besuch in Poreč im Auge und werden sie weiterempfehlen. La casa si trova in una eccellente posizione centrale a pochi metri dalla zona pedonale. Grazie al pass il parcheggio vicino è garantito e incluso nel prezzo. L'alloggio è del tutto ristrutturato ed è un buon rapporto qualità prezzo. Apartment ist really clean, nice balcony with view about the sea. Located directly to the centre of Porec, but although quite when the windows are closed. But with air condition it was good! We really enjoyed our Stay! The best was the market with fresh fruits and fish next door! The kitchen is really good for cooking and we missed nothing! Thank you so much for the pleasant stay!